Blue Ivy is second-in-command at home, with her mother Beyonce ruling the roost. The music superstar may be known as Queen Bey to her loyal fans, but her mum Tina Knowles Lawson revealed that the 7-year-old is a force to be reckoned with. 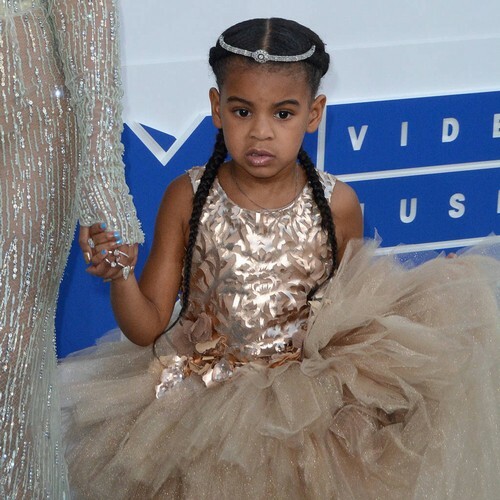 “Blue (Ivy) is Queen Bee – she’s the second queen,” the proud grandmother told Us Weekly. Beyonce and JAY Z welcomed their first child in January 2012, with twins – daughter Rumi and son Sir – arrived in June 2017. And fashion designer Tina, 65, revealed the toddlers already have distinct personalities. “For the twins, the girl is really going to rule the world, and the boy is kind of laid-back. He just chills like his dad,” she gushed. The Formation hitmaker and the Family Feud rapper have kept their two youngest children out of the public eye since their arrival. But in July last year (18), Beyonce shared a rare photo of her sat with the twins on her lap. However, Tina does have one criticism of her superstar daughter. “Beyonce can’t cook,” she laughed, while sister Solange can whip up a storm in the kitchen. “There’s no contest!” Tina added.